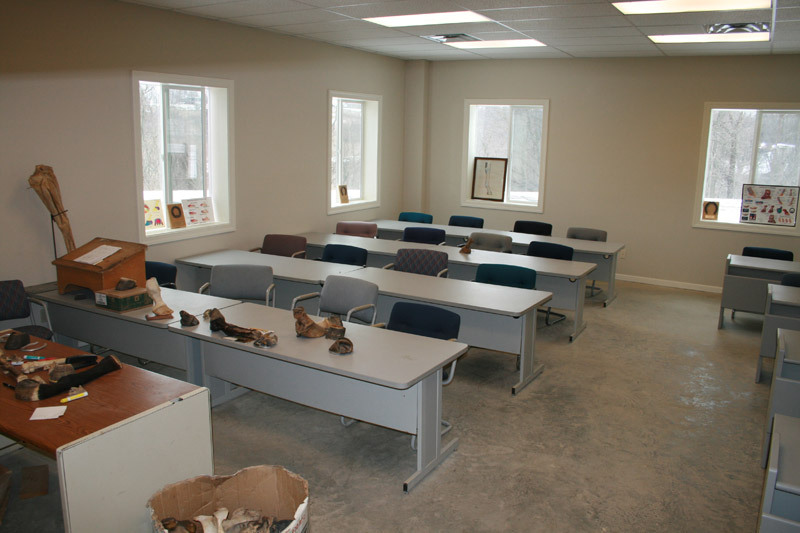 Teaching and hands-on training at Kentucky Horseshoeing School is conducted in our new state-of-the art teaching campus. Our custom-designed 23,000 square foot facility is comprised of three individual shops, two classrooms, a welding shop and lounge facilities. These areas are designed to provide the optimum educational venue while assuring a safe environment. The entire facility is outfitted with the latest equipment and visual learning aids, as well as offering wireless Internet accessibility throughout the campus. KHS has four fully equipped work areas, complete with gas and coke forges, belt grinders, drill presses, knife sharpening stations and arc welding capabilities. There is ample room for shoeing horses with 14 cross-tie stations to contain horses for shoeing and more than 30 workstations, complete with anvils, vices and both propane and coal forges. This configuration allows each student to work their own forge station and enhances student safety. For further efficiency and ease of learning, beginning and advanced forging classes/continuing education clinics are held in separate shops. The new housing available to students on our Richmond campus is unlike anything available in the farrier industry today. The University-style dormitory housing offers students many choices from private apartments through bunk-style housing. A senior staff member resides on the KHS campus to supervise the residential students. Meals can be prepared in the dormitory kitchens or purchased at local cafes and restaurants. A lounge equipped with a television, VCR, and a library of educational videos is also available for student use. Although we love your pets, please make arrangements to leave them at home.